Stephen Fitzpatrick serves as Managing Director of Capital Markets at Sanders Morris Harris with over 20 years of professional trading experience in the securities industry. Monitoring the markets carefully, he plays a key role in identifying trading opportunities for clients. 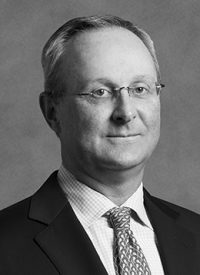 Prior to joining Sanders Morris Harris, Mr. Fitzpatrick served as Managing Director of Trading and a member of the Risk Committee for Hayman Capital Management where he oversaw all daily trading activity amongst various global strategies. Before that, he held senior level trading positions at Wesley Capital Management, successfully opened the Legg Mason office in Dallas and was a Senior Managing Director at Bear Stearns. Mr. Fitzpatrick holds a BBA in accounting from Texas Christian University.